Fr. 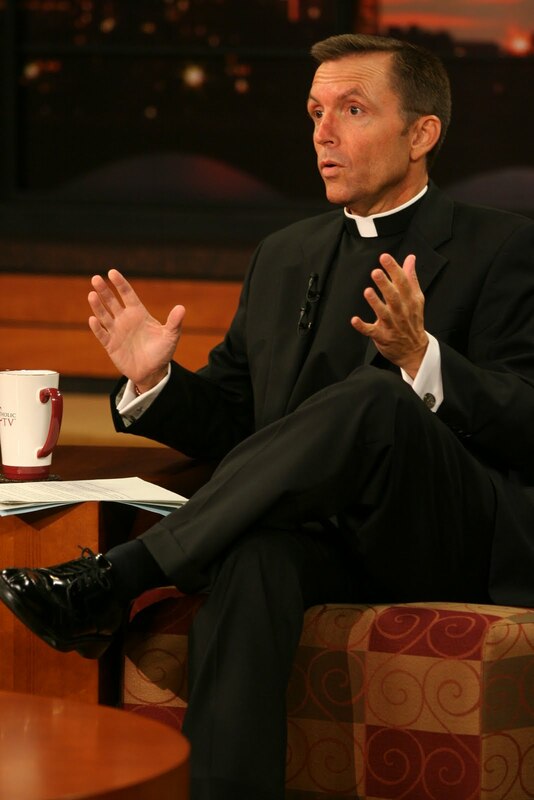 Andrew Apostoli, C.F.R.will preside at the live, televised Mass on CatholicTV on September 9th at 9:30AM (Eastern). He will also appear on the live CatholicTV Talk Show “This is the Day” on September 14th, to discuss the Promises of Fatima. This is the Day airs at 10:30AM ET at CatholicTV.com and on CatholicTV. The show is rebroadcast at 7:30PM and other times during the week. Fr. Andrew Apostoli, C.F.R. is a founding member of the Franciscan Friars of the Renewal, and has been active in teaching, preaching retreats and parish missions, and in giving spiritual direction. Fr. Apostoli is the Vice-Postulator for the cause for the canonization of Archbishop Fulton Sheen. Fr. 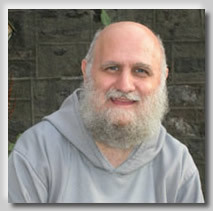 Apostoli is the author of numerous books, including “Following Mary to Jesus: Our Lady as Mother, Teacher, and Advocate”and “Walk Humbly With Your God: Simple Steps to a Virtuous Life”. In the laste fall his newest book on the miracles at Fatima will be released by Ignatius Press. Fr. Edward Udovic, C.M. will also be interviewed on This is the Day. Fr. Udovic will discuss the documentary, “Vincent De Paul: Charity’s Saint” which he wrote and produced. Reverend Edward R. Udovic, C.M., Ph.D., is a Vincentian priest from the Western Province (U.S.A.) of the Congregation of the Mission. Ordained in 1984, he has a Doctorate in Church History from the Catholic University of America. He has written extensively in the area of Vincentian history, and has given presentations throughout the United States and internationally on Vincentian history, spirituality, mission effectiveness, and leadership. 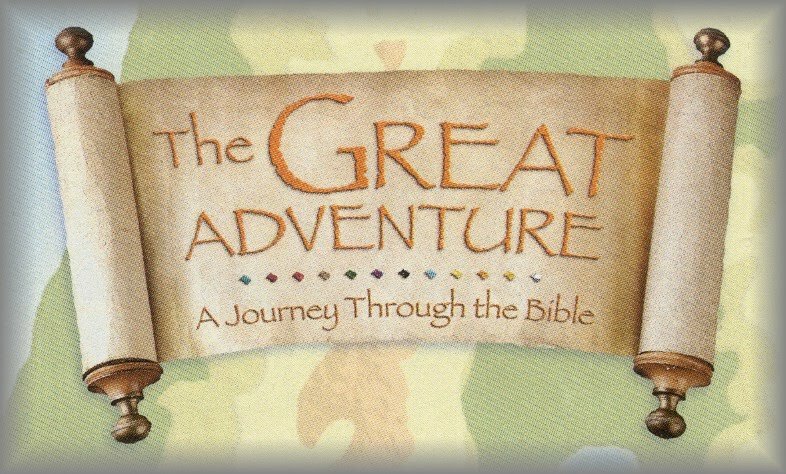 TGA is unique because it “makes the complex simple by teaching the story (the narrative) of the Bible.” TGA follows the principles prescribed in the Catechism of the Catholic Church and Dei Verbum (The Second Vatican Council’s Dogmatic Constitution on Divine Revelation). Jeff Cavins, who helped to create TGA, and his wife Emily will discuss TGA on This is the Day. Over the past several years, Jeff has dedicated his life to developing TGA. Jeff Cavins is the director of the Archbishop Harry J. Flynn Catechetical Institute based in St. Paul, Minnesota. He has been recognized both nationally and internationally as an exciting public speaker who has a deep love for Jesus Christ and who communicates his zeal with clarity and enthusiasm. Emily Cavins is the author of My Heart Is a Violin: The Autobiography of Renowned Violinist/Composer and Holocaust Survivor Shony Alex Braun and co-editor of Amazing Grace for Mothers. 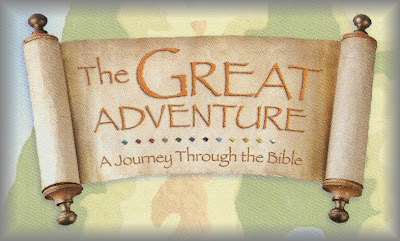 She is the developer of the “Great Adventure Kids” bible study materials that center around teaching children the plan of salvation history based upon The Great Adventure (for adults) bu Jeff Cavins. 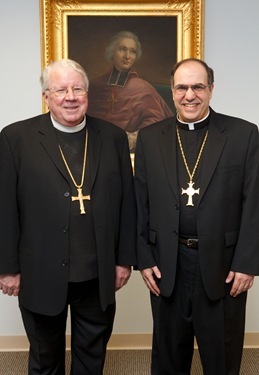 On September 14th, CatholicTV will broadcast the Episcopal Ordination Mass of bishops-Elect Arthur Kennedy and Peter Uglietto as auxiliary bishops of the Archdiocese of Boston. The Mass will also air at CatholicTV.com and on CatholicTV cable outlets at 2PM ET and rebroadcast at 8PM. 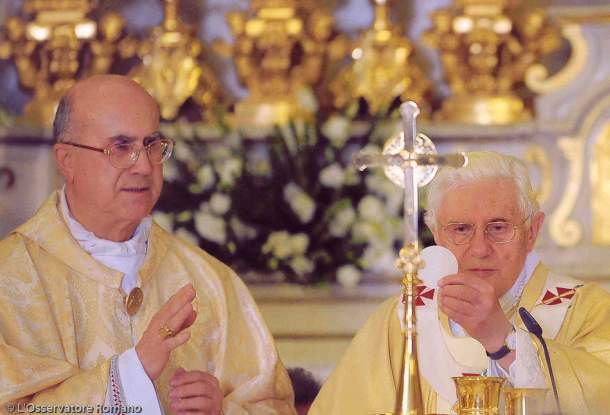 Both men were named Auxiliary Bishops by Pope Benedict XVI in June. Bishop-Elect Kennedy serves as Rector of Saint John’s Seminary in Brighton, Massachusetts. Since 2007, when Kennedy began working as Rector, the size of the seminary community quadrupled from 20 to 80 for the incoming Fall 2010 class. Kennedy has served as Executive Director of the United States Conference of Catholic Bishops Secretariat for Ecumenical and Interreligious Affairs, and has worked at numerous parishes. He has a licentiate in Sacred Theology (S.T.L.) from the Pontifical Gregorian University as well as a Ph.D. from Boston University. (1979 -1988) and Adjunct Spiritual Director at St. John Seminary (1985-1988) as well. When I was in school, I never relished the advent of September. It meant that the more relaxed time of the summer was over and the work of classes and study would begin again. Please keep in mind, and in your good prayers, our young people, who return to the classroom these days and populate the campuses of institutions of higher learning across this land. Here at the CatholicTV Network and at this point in my life, September is a time of tremendous hope. Tens of thousands of people show their support for our work in our daily mail and at CatholicTVeverywhere.com. Our programming department has discovered some great new additions to our lineup for you to enjoy. Also, our talented production team has produced some new series of note, among them Way of Beauty, which features the artistic genius of the East, and Hope on Campus, with the Brotherhood of Hope. You can sign up and help us build and strengthen America’s Catholic Television Network. All in all, September is a time of great hope on campus, at the CatholicTV Network and in our lives as disciples of the Lord. May these days be filled with promise for you as we begin a new season and move forward together in our journey of Faith. 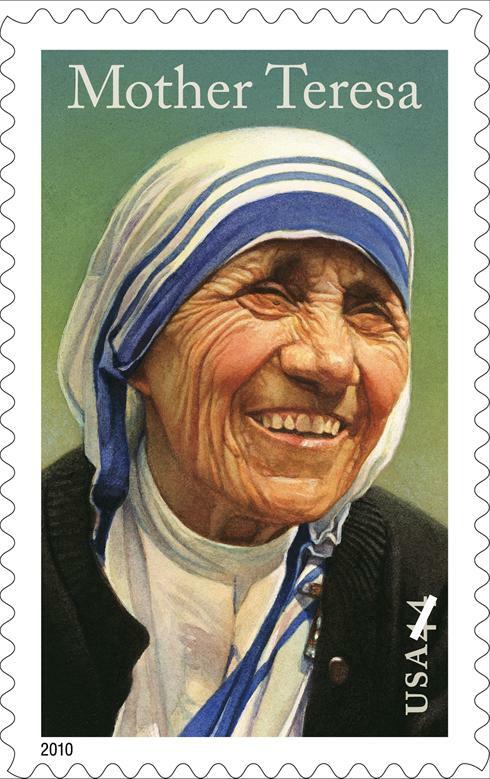 On September 5th, CatholicTV will air a special Mass to celebrate Mother Teresa’s feast day and will include the unveiling of a new U.S. postage stamp with her likeness on it. The Mass will air on September 5th at CatholicTV.com and on CatholicTV cable outlets at 8PM (Eastern) and will be rebroadcast on September 6th at noon. The Mass will take place at the Basilica of the National Shrine of the Immaculate Conception in Washington, D.C. Archbishop Pietro Sambi, Apostolic Nuncio to the United States will celebrate the Mass and give the homily. According to CatholicVoteAction.org, over 146,000 people signed a petition asking the U.S. Postmaster General to continue with plans to issue the stamp after certain groups opposed the issuance of the postage stamp. Footage of other major events in the American Catholic Church and the Vatican can be viewed at http://www.CatholicTV.com/catholic-television.aspx and http://www.CatholicTV.com/sunday-mass.aspx. The CatholicTV® Network recently celebrated another social media milestone. The network reached 10,000 fans who “like” CatholicTV on its very active Facebook page. The CatholicTV Network’s official Facebook fan page launched in February of 2009, giving viewers and supporters a new tool to share their passion for CatholicTV programming. Recent postings at the fan page have included video of nuns singing in the CatholicTV studios, a video clip of CatholicTV being featured on Comedy Central’s the Colbert Report, and video of CatholicTV’s Fr. Reed walking into a surprise party for his 25th anniversary of his ordination to the priesthood. Starting in September, CatholicTV will begin a new season which will include 12 new shows. Among these new shows are a Catholic art show, a show featuring Catholic college students, and shows produced by dioceses across the U.S. and Canada. The new season at CatholicTV will begin on September 6th. This programming and much more is viewable 24 hours per day at CatholicTV.com and on CatholicTV cable outlets. Below is a list of the new shows which will be a part of the new season on CatholicTV along with their respective airtimes (Eastern Time). CatholicTV has begun shooting some of its productions with the new Canon 7D camera, which bloggers and photographers have raved about since its introduction. Despite hesitation from many other television networks, CatholicTV has already begun using this new camera in some of its productions. This unique camera, which costs only a fraction of the price of some of CatholicTV’s studio cameras, shoots high-quality 1080p HD video. This video comes surprisingly close to the quality of the video seen on the silver screen. “It was a particularly exciting decision when we started to use the new camera, since a lot of networks have been hesitant to try out this technology and to broadcast it. At CatholicTV, we dove right in” said Adam Stone, a member of the CatholicTV production crew. Stone went on to say, “before using the new camera, I was working on in-house promotional videos. In an effort to get the right look, we put a lot of accessories on our original studio camera. However, the camera was then enormous and cumbersome. At this point, CatholicTV uses the Canon 7D camera in a small number of its productions, but continues to look for new technology to help spread the Gospel. CatholicTV recently received national attention after being featured on Comedy Central’s Colbert Report, as well as in an article with the Associated Press, and the Washington Post due to CatholicTV’s usage of 3-dimensional technology with some of its shows. CatholicTV was also the world’s first Catholic television station to offer its own iPhone/iPad application. The application allows users to view the full daily mass and other programs as well on their handheld devices. Starting September 6th, “Way Of Beauty” a new Catholic art show will debut on CatholicTV. The show is hosted by Oxford-educated David Clayton, currently Artist in Residence at Thomas More College in Merrimack, New Hampshire. Way of Beauty takes a look at Catholic traditions in art as an expression of a Catholic worldview. Thomas More College established its Way of Beauty program to be taken by members of the freshman class. It draws on the principles articulated by figures from the early Church, such as Augustine which was drawn to our attention by John Paul II, Letter to Artists, and especially Benedict XVI who calls us to embrace the sacred arts. 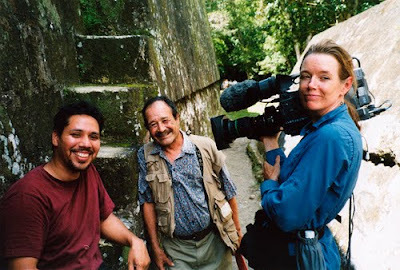 The series will air at CatholicTV.com and on CatholicTV cable outlets. Way of Beauty will examine what constitutes a tradition and how it is taught and passed on so that it can respond to the times, while retaining its essential principles. The series will show how the style of these traditions can be related directly to the liturgy, theology, and philosophy of the Church. Way of beauty will examine Catholic artistic traditions such iconography and sacred geometry, which are often seen in Catholic Churches. The series will also take a look at artistic traditions such as gothic and baroque. Starting the week of September 6th, the weekly schedule for Way of Beauty will be as follows (all times Eastern): Tuesday-midnight; Wednesday-noon; Thursday-7:30 p.m.; Sat 3:30 p.m. and Sun 6:30 a.m.
On August 27th, Dave DiNuzzo will be interviewed on the live CatholicTV talk show “This is the Day”. Dave writes a blog called truemanhood.com, which explores men’s issues especially, masculinity, sexuality, parenting and much more. The blog uses humor, stories, and video to show “what it means to be a true man”. 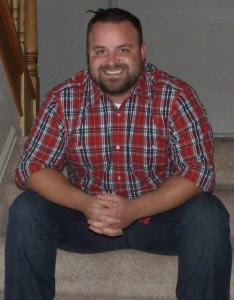 Dave DiNuzzo is a Catholic, young-adult, husband, father and Christ-centered entrepreneur. He started TrueManhood.com in an attempt to capture the essence of manhood, manliness and a man’s responsibility within the family, society, the Church and in the workplace. Dave thoroughly enjoys off-roading, shooting his guns, sitting by a campfire he made & started, building stuff, combing his beard and being manly. He also thoroughly enjoys being sacrificial for his wife, loving his children and being a gentleman. Dave owns and operates several businesses. The majority of his time is spent as the Catholic Young Adult Ministry Coordinator at the United States Air Force Academy. Dave graduated from Benedictine College with a BA major in Business Administration concentrating in Finance and a minor in Religious Studies. 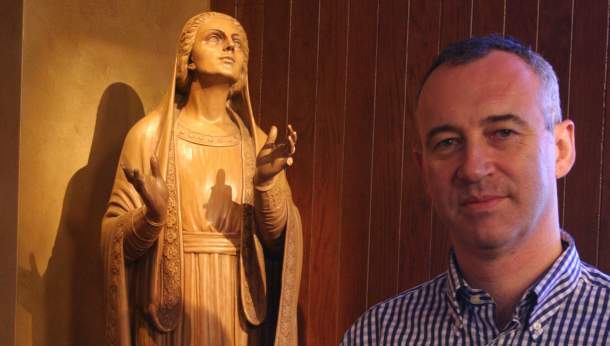 Dave then spent two years as a missionary with FOCUS (Fellowship Of Catholic University Students) and gained a Certificate of Catechesis and Evangelization for the College Campus from FOCUS. Dave is currently pursuing a Master’s degree in Theological Studies from the Augustine Institute in Denver, CO.
After being inspired by a dream she had, Gigi Taylor created a unique way to pray the rosary using a small prayer booklet called “The Illustrated Rosary, Page by Page and Bead by Bead ”. On August 24th, Gigi will discuss the rosary and her booklet on the CatholicTV talk show “This is the Day”. This is the Day airs at 10:30AM ET at CatholicTV.com and on CatholicTV. The show is rebroadcast at 7:30PM the same day and other times throughout the week. The idea of The Illustrated Rosary originally came to Gigi Taylor from a dream she had shortly after the death of her 11-year-old son. Gigi’s son, Will, was non-verbal and Gigi had previously programmed the Rosary into Will’s electronic communication device. Gigi and Will would then pray the Rosary together. The Illustrated Rosary reminds Catholics that the Rosary is a prayer rooted in scripture. 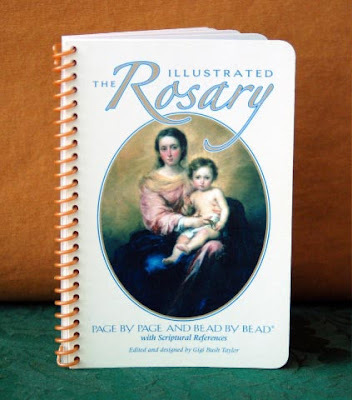 In the Illustrated Rosary, the various mysteries of the Rosary are accompanied by scriptural texts associated with each mystery and accompanying images which can be used to assist during prayer. From August 11-12, CatholicTV will exhibit at the New England Adult Faith Formation Symposium. The New England Adult Faith Formation Symposium is a two day event for catechetical leaders, teachers and parish ministers. This year’s symposium will explore ways to use new technologies to reach young adults and how to use technology to enhance parish ministry. 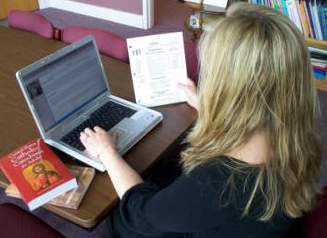 · Richard Drabik (multimedia coordinator of the Virtual Learning Community for Faith Formation - University of Dayton).